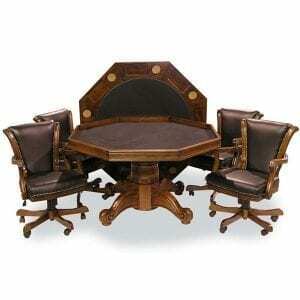 Get your game on with this high quality combination poker and dining table. 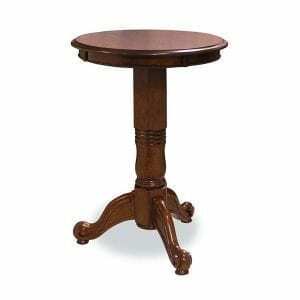 Even casual meals will seem elegant when you dine surrounded by this table’s sumptuous wood finish. Enjoy your meal and then get ready to flip the top and enjoy a poker game. Or better yet, invite your poker buddies over for dinner, and then show them how amazing your table is as you convert it to a poker playing surface. The 54” diameter table will accommodate up to 8 players or diners. The game top has 8 sets of cup and chip holders. The top is reversible for quick and easy transition from Card play to dining top. The area under the top is open for storage. 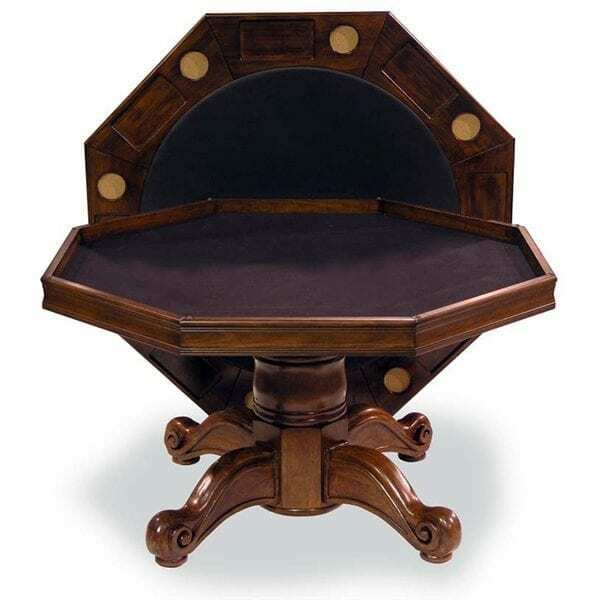 Save room in your home by using this convertible dining and poker table. 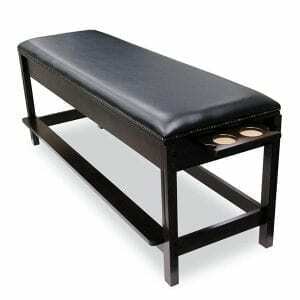 This table does more than offer convenient features. 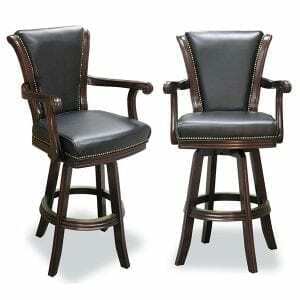 It allows you to dress up most any room due to its lavish wood and faux leather styling. So get ready to cook a pre-game meal for your poker friends, then watch their surprise when you tell them to clear away the dishes as the dining table is about to become their poker playground for the rest of the night! Be prepared to be the envy of your friends when they come over for poker night.